Halloween is a time for spooky stories, mischief and, of course, trick or treating. Those looking for a safe environment for children to trick or treat in were welcomed to campus on Friday, Oct. 26. The Chamberlain Student Center and Campus Activities created a partnership with Glassboro residents and other nearby communities to create a fun and safe environment. Children came dressed in costumes and paraded around the student center during the annual Haunted Student Center event. 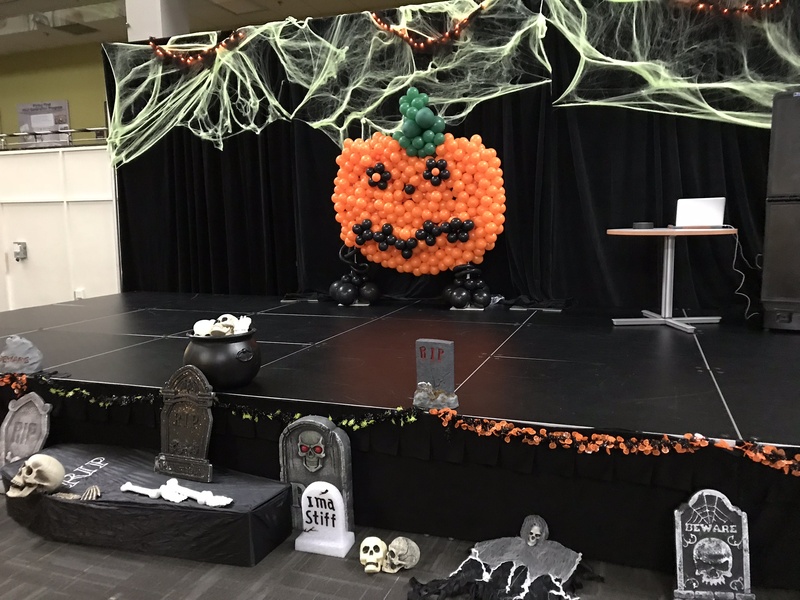 Each child got the chance to trick or treat in a safe environment and gather candy from the numerous tables set up throughout the building. In the middle of the student center pit, a stage was set up so the children could show off their dance moves while they munched on candy treats. According to one of the organizers, Megan McHugh, this is the 16th year that the student center has been holding this event. “[The goal of the event is] just to give the kids and their families a safe place to trick or treat,” McHugh said. Numerous Glassboro residents came out with their children to celebrate the holiday as a family in a safe and fun environment. One such family was Nancy Gray and her children. Gray is a 2005 Rowan alumna. Gray also commented that she thinks the event was a great time for everyone and felt that the atmosphere at the event was indeed a safe one. Representatives from a variety of Rowan clubs set up tables with candy to give out to the children. The student organizations joining in on the festivities included sports teams, chartered clubs and the Greek fraternities and sororities. Not only did children dress up, but Rowan students showed off Halloween spirit as well. Many students came wearing costumes, such as traditional horror movies monsters and video game characters. The spirit of Halloween continued all throughout the weekend with Haunted Casino Night and Zombie World Murder Mystery Dinner.